Mine: Kind of disjointed. Never builds much drama. Some good scenes, but never comes together. 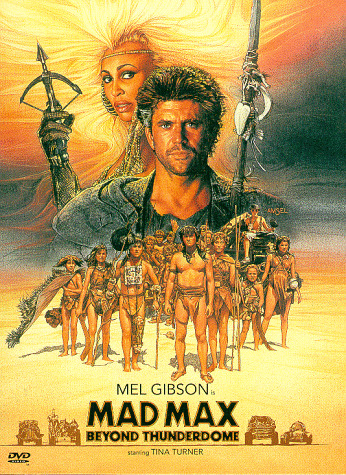 Leonard Maltin/Plot synopsis: In the desolate future Mad Max comes upon Turner's cutthroat city of Bartertown, survives a battle-to-the-death in Roman-style Thunderdome arena, and is exiled to the desert, where he's rescued by tribe of wild children. Thunderous film has lots of action and stunts, and even some philosophical moments, but lacks the kinetic energy of THE ROAD WARRIOR (MAD MAX 2). Panavision.